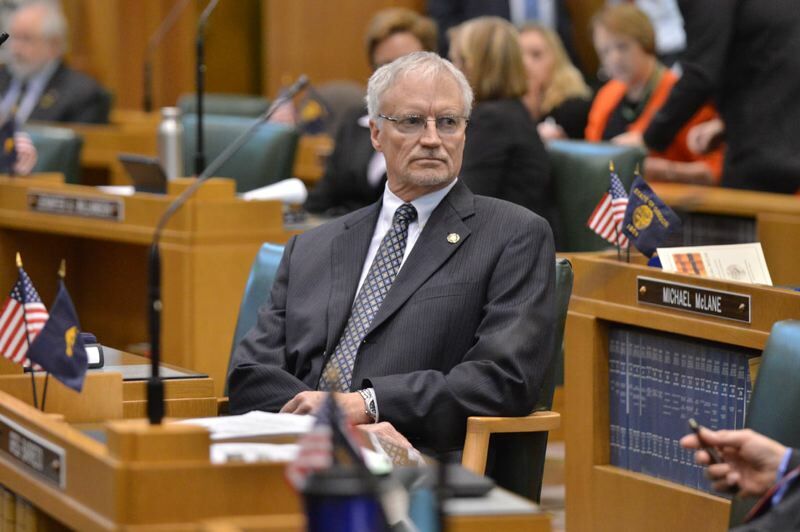 SALEM — State Rep. Carl Wilson, a Republican from Grants Pass, was elected Monday, Nov. 26, to serve as House minority leader. Wilson has represented since 2015 a district that runs from the California border up to Grants Pass. He also served in the House from 1998 to 2003. He couldn't be reached for comment Tuesday morning. Wilson is taking charge of a 22-member caucus of Republicans. Democrats will have 38 representatives, and that could make it easier for them to pass measures that do not have bipartisan support, including tax increases. A U.S. Navy veteran, Wilson had a career in radio as on-air talent, a station manager and executive. "Wilson brings the strong communication skills he honed in radio along with the experience and valuable relationships of two stints in the Capitol into the role of House Republican leader," the caucus said in a news release Monday. "Politics is a team sport and I am excited to lead such a strong and talented team of people from throughout Oregon," Wilson said in his prepared statement. "We have much work to do on behalf of the hardworking Oregonians who sent us to Salem." He succeeds state Rep. Mike McLane, R-Powell Butte, served as party leader in the House since 2012. McLane, an attorney, remains in the House but elected not to hold the leadership role.